Egypt is probably the world's oldest civilization. Egypt is much more than Pyramids and monuments. It has Red Sea scuba diving, hot night spots, luxury hotels and five star restaurants, romantic cruises down the Nile on festive river boats, a night at the grand opera and cultural experience. Egypt is a land bustling with life, sound, visual beauty. Land of the Pharaohs and the country which is home to one of the world’s first great civilisations, Egypt is jam packed with historic treasures and magnificent artefacts. As well as the iconic pyramids, Egypt boasts some incredible temples, royal tombs and magnificent museums as well as popular beach resorts teeming with marine life along the Red Sea and the biblical Mt Sinai. There are several international airports in Egypt including Cairo, Alexandria and Sharm el-Sheikh. Direct flights to Egypt are operated by British Airways and EgyptAir with low cost flights also available on airlines including Monarch and easyJet. 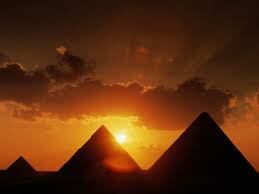 Join the thronging crowds in Cairo, Egypt’s capital and home to the famous Giza Pyramids. Don’t miss the Egyptian Museum in the city which houses the world’s greatest collection of Egyptian antiquities including treasures from Tutankhamun’s tomb and a fascinating Mummy Room. Head to Luxor to see the impressive Temple of Karnak, the largest complex of temples built by man and the Valley of the Kings which boasts an incredible 63 royal tombs. At the heart of Egypt is the Nile river, take a cruise or hire a felucca to explore the ancient temples and historic sites along its banks. For a spot of relaxation, there is a great choice of resorts along the Red Sea coast, snorkel or dive to make the most of the spectacular marine life. Find yourself a great deal on cheap flights to Egypt with Directflights.com superb flight comparison tool. Checking prices with over 500 airlines and selected travel partners, we can find you the cheapest flights available. Whether you're planning ahead or need lastminute flights for a trip at short notice, we are here to help you find the best value for your money. Most of Egypt's rain falls in the winter months. South of Cairo, rainfall averages only around 2 to 5 mm per year and at intervals of many years. On a very thin strip of the northern coast the rainfall can be as high as 410 mm, mostly between October and March. Snow falls on Sinai's mountains and some of the north coastal cities such as Damietta, Baltim, Sidi Barrany, etc. 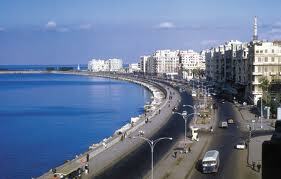 and rarely in Alexandria. Temperatures average between 80 °F (27 °C) and 90 °F (32 °C) in summer, and up to 109 °F (43 °C) on the Red Sea coast. Winter temperatures average between 55 °F (13 °C) and 70 °F (21 °C). A steady wind from the northwest helps lower temperatures near the Mediterranean coast.